A few thoughts on the necessary epistemological roots to energize, and sustain, a communist movement doing significantly better in leading through the contradiction expressed in "and the world stays fundamentally unchanged" and "here come the communists; turn out the lights, the party's over." In ruminating on this, aspects of what could be called the "personal history" of both Mao and Chiang Ching in relation to the woman question and the "jazz question" came to mind as expressive of the contradictions in the communist movement thus far, even its most advanced expressions. There are sharp contradictions, and even certain "ironies," involved in these examples. Mao, before he became (and as he began to become) a communist, and later a Party leader, was a remarkably radical thinker on the woman question. There are many stories about his outrage, passion and convention-shattering focus on this question in his early writings and actions. And then there was Chiang Ching—in her "pre communist leader" days, a radical young woman in Shanghai, in that city's wild (and, yes, Western-influenced) cultural scene—a history (including in its likely sexually liberated dimensions) which was used by some communist leaders to constrain and suppress her—and Mao—in the Yenan days, a personal history later viciously used by the revisionists against her in the "last great battle." This—and certain ironies and deeper contradictions—came to mind as I was reading again Avakian's recent comments on the lack of an embrace, even any real "welcome," by the revolutionary leadership in China of what was coming from the "western" women's movement, including what it was raising about women's sexuality, and the "heavy" atmosphere and sense of repression with regard to sexuality. And ditto on "jazz"—yes, a "no go zone", including in Shanghai, at the height of revolution there in the 60s and early 70s. To be clear, the leadership Mao, and Chiang Ching, gave on the woman question when they became top level communist leaders resulted in levels of emancipation, in thinking and action, that were unprecedented—yes, in fundamental ways, far exceeding their "pre communist" days. And there were huge breakthroughs in exciting and emancipating culture. So can we really say that Mao (and Chiang Ching) were "less radical" than in their early, even "bourgeois democratic revolutionary" days? No. But (and it's hardly an unimportant "but"), in the sense described particularly in "Unresolved Contradictions, Driving Forces for Revolution" there was a significant aspect in which a radicalism was not carried forward and deepened, and was even "dimmed", from those "early radical days." That should not be, and does not have to be. But the contradictions involved in that DO take the method and approach of the new synthesis to really address. Here, there is much to ponder—it is a tremendously concise synthesis of major conceptual, as well as programmatic, tendencies in the history of the communist movement broadly, as well as the history of the socialist states. Most acutely so in the Soviet Union, but also in China, even as Mao led a great initial break from Stalin's tendencies toward mechanicalism and rigidity. 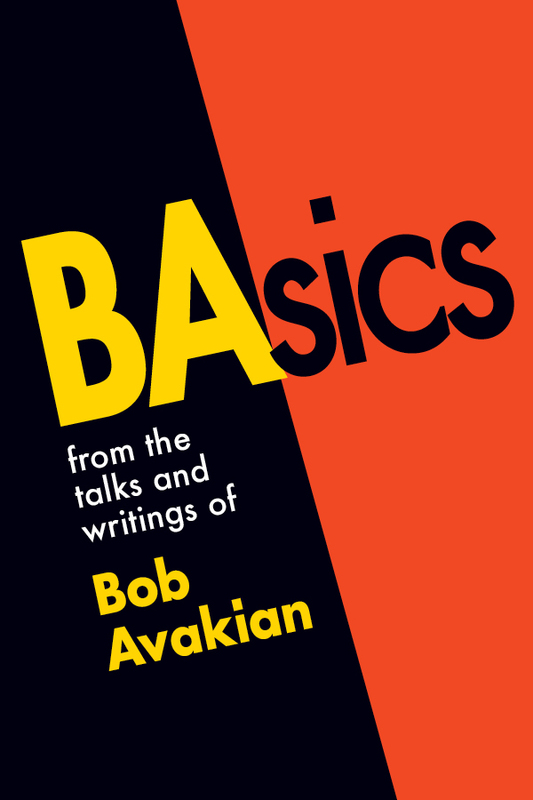 Now it should be noted that Bob Avakian's criticism above of this methodological tendency toward "constriction" in the history of the communist movement is a sharply different synthesis from anarchism or utopianism. It does not at all downplay the need to lead in transforming "the world as it is", including the important role of a "necessary main direction" in that transformation. But it concentrates a lot about HOW to lead, and different understanding of the relationship between a "necessary main direction" and many things going off in different directions—embracing all that, and leading that whole broad process in the direction of communism. To return to Mao and Chiang Ching here: There were definitely "necessary main directions" to the struggle against the capitalist roaders in the Cultural Revolution. And it is clear that what were seen as "influences from the West"—including in progressive cultural streams, in the sexual liberation explorations of the women's movement, etc—were clearly seen as being in significant conflict with the main direction of that struggle. All the more so because an "opening to the West" was a major element of the Deng/Chou "modernization" program, which was locked in fierce struggle against Mao's revolutionary line on socialist development and transformation. What these feminist movements were raising around sexuality, for example, was certainly different from what the revolutionary leadership in China was focused on! In one dimension, these radical currents of feminism would have been seen as just "too much to handle" in a very high stakes situation—and all the more so since these currents in these radical ("western") feminist movements were most definitely taking significantly different directions than the ways and forms in which important struggles for the emancipation of women were being waged in China —and certainly would have also involved criticisms of definite elements of "puritanism" within China's revolutionary current. The tendency to see this important aspect, at least, of the feminist movement in the West as "very problematical" would have been intense, to say the least. Especially when faced with such an intense situation, an outlook of "class truth", of reification of the proletariat, along with nationalism, could only feed a tendency to "shut down" and "freeze out" such movements and ferment, to see them as more as a problem than as part of potential solutions. 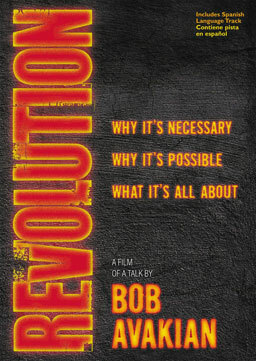 While there are indeed many dimensions involved in all this, here I want to highlight this new understanding of the problem of "constriction," and what is unleashed by a more dynamic understanding of the relation of "detours and departures" to the overall process of making and continuing revolution—including recognizing and unleashing new forces for that revolution. This is not, fundamentally, a matter of "it's necessary to tolerate diversions." And that kind of understanding and approach won't hold up, anyway, in the face of intense pressures from other major necessities, real and/or perceived. And, speaking of "turning out the lights", nothing shuts down voltage and vibrancy quite in the way that kind of condescension does. This is something very different—and very related to the recognition of potential radical force within unresolved contradictions. Dissent...and do you REALLY want to be challenged...and to stick with that orientation...when dealing with ALL THAT? The above example is principally a matter of a recognition and an unleashing of potential new forces and streams for making and continuing revolution. But it is also clear that the same developments, including ruptures, in communist epistemology—are essential to a new understanding of the role of dissent in making and continuing the communist revolution, and as a new source of vibrancy. 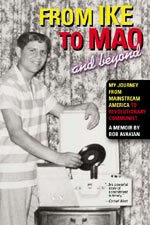 And, in particular, these ruptures are critical to being able to maintain this orientation toward dissent and contending views as a characteristic of the communist movement, and a socialist society—and critical to not "turning out the lights", but persisting in that basic orientation, when faced with big necessity, obstacles, and opposition. Particularly critical here are the breaks with class truth, and with the tendencies to instrumentalism and apriorism in the communist movement. As Avakian has expressed this break (in his 7 talks, among other places): Do you really see the importance of getting to the truth, or do you want to get in a position where you can do what you think is right? And he's pointed out that carrying through on the former is not necessarily easier in the short run. It seems relevant here to recall contradictory elements of understanding of these questions on Mao's part...AND to think about the necessary and powerful role of the actual forging of a new SYNTHESIS on this, as Bob Avakian has done, in the ability to decisively break through on these contradictions, and to persist especially in the midst of great pressures and necessities. One aspect of Mao's thinking on this is expressed pretty well when he reportedly said to his niece who asked him about how to "inoculate" herself against the Bible: "Just go deeply into it and you'll come out the other side". This was expressive of an important basic orientation; but it can be said that Mao was not able to thoroughly put that orientation into effect. Mao also had the view that "the proletariat has its truth and the bourgeoisie has its truth." Mao hardly invented this "class truth" understanding, but he didn't fully, systematically, and scientifically break from it and 'connect' this to his important advances in an understanding of socialism as a very tumultuous, non linear, period of transition to communism. So, expressed in these two statements by Mao, there were objectively different epistemological 'threads,' and this was not broken thru on in a qualitative and synthesized way at the time. When faced with the "full court press" of the very real necessities of making revolution, it has required a much fuller epistemological break, a more synthesized and robust scientific epistemology that's capable of more consistently and broadly giving impetus to what Mao voiced to his niece...and to much broader ferment, contestation of views, etc. As Avakian has put it, the more deeply you 'get' this epistemology, the MORE you want to be challenged. This is the basis for the principle of "wanting to repeatedly go to the brink of being drawn and quartered"...as the only way to get to get to the truth, and get to communism. This understanding is pivotal to a different understanding, and to forging a different approach, to the real contradiction expressed in "and the world stays fundamentally unchanged" and "here come the communists, turn out the lights, the party's over." But, it seems there can also be another expression of communists creating negative necessity for themselves (their goals), by not maximizing the elasticity to the greatest degree possible, based on that solid core of going for communism, the "four alls." And this takes a particular expression in Bob Avakian's point that if you REALLY get this epistemology, you want to be challenged...the only way to get to the truth and get to communism. This thinking is further developed, too, in "unresolved contradictions, driving forces for revolution". So it now seems not so "bi-polar"; there is capacity to change the world as it is by recognizing the dialectic between solid core and elasticity, and for leading better in that way, including through doing better in NOT turning out the lights. This is a key breakthrough in the new synthesis. In this light, there is relevance in returning to the following from a comrade quoted in the discussion on epistemology: "Some questions come from the wrong place, but you can't determine that apriori. The waters are choppy, and there are sharks, but it turns out a lot are toothless guppies....we can't tell the difference between sharks and toothless guppies if we don't get to the truth of things." In "Unresolved contradictions, driving forces for revolution", Avakian points out that, in seeking to forge a solid core of successors, Mao first tried to do so from among intellectuals, but found them unreliable and mainly turned elsewhere in that effort of forging a core of successors in leadership. This is not without basis, as Avakian points out. But Avakian's overall point is that we have more work to do on that. Older conceptions have had shortcomings in relation to maximizing the potential for "transfer of allegiance of the intellectuals"—including the forging of a core who are ardent advocates and fighters for communism. This involves, as BA puts it, being "deeply grounded in and firmly grounded in taking up and applying...the scientific communist outlook and ideology". And, especially at this challenging crossroads in history, that means firmly grounded in communism's most developed synthesis thus far. —The important difference between an actual scientific method and approach, and what is sometimes called "scientism" (an actually non-scientific approach, very related to positivism). And the relevance of this difference to NOT turning out the lights. There have been such methodological tendencies (some even under the name of science) in the history of the communist movement. A "scientific" approach where the party identifies one after another problem, works at it, and solves it...this is much more akin to pragmatism and a mechanistic view than to science, and a more thoroughgoing understanding of matter in motion (and making revolution!) as "the ceaseless emergence and resolution of contradictions," as Mao put it. And even how to understand THAT (ceaseless emergence and resolution of contradictions) should not be seen like this: one contradiction emerges, is resolved, then another, and so on. The further developments of materialism, and dialectics that are expressed in a multilayer, multilevel understanding of reality, and of the processes of reality's transformation; these are among further new synthesis developments in a scientific method. Here, again, the importance of “embraces but does not replace" and "solid core, with a lot of elasticity" can be more deeply understood and come to the fore.